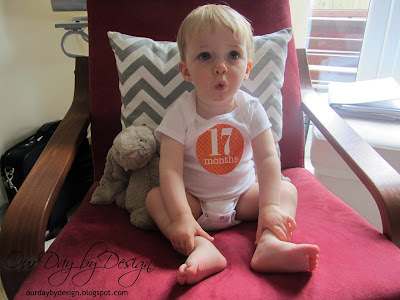 Holden's 17th monthly photo, taken on the 1st of every month. 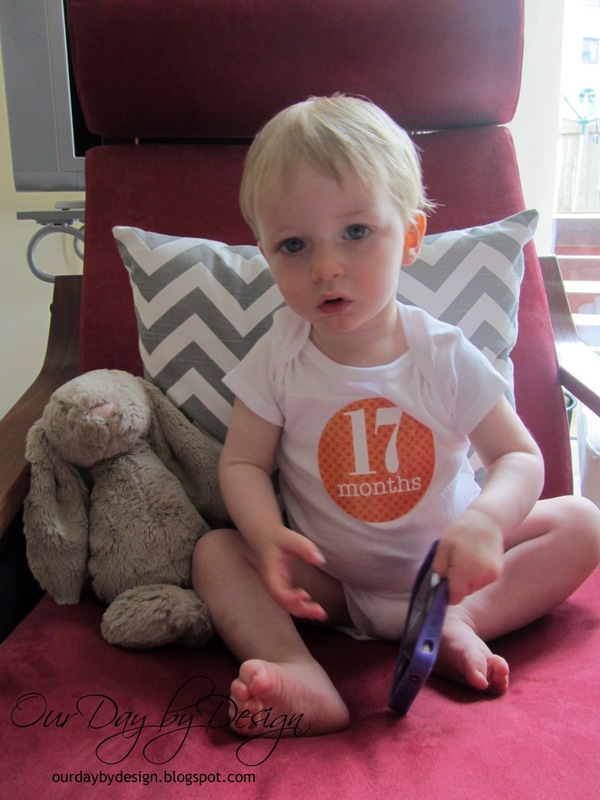 Holden turned 17 months old on the 1st of July, which was over a month ago. 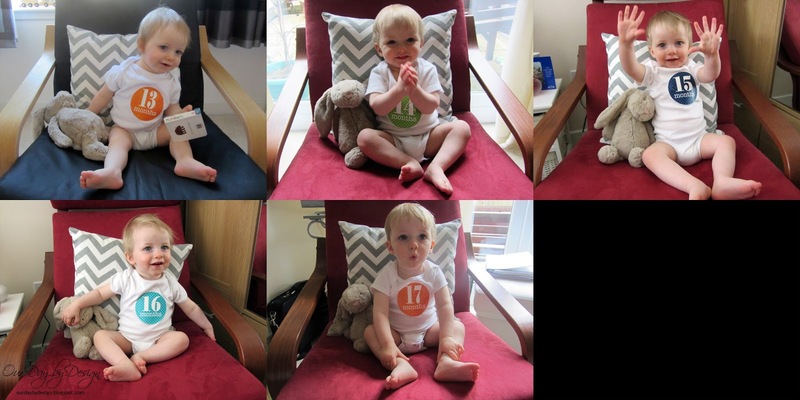 I'm trying to catch up with my monthly posts as like last month I'm very behind with this one, considering he was 18 months a week and a half ago! June started off well with a trip to the local festival in Haddington, a community lunch with all the neighbours at my parents shared green area then coffee with my friends. However, I then got ill with a stomach bug which lasted ages and after a week with no change, I had to visit the doctor then the hospital. I ended up being off work for over a week which wasn't great either. I'm the midst of it, when I thought I was improving, we met up with our NCT group but I didn't get to stay for long. Finally when I improved we had a trip to the zoo with Holden's nursery, we celebrated fathers day with Graham's family then lunch just the three of us before Grahams birthday, when he took Holden to Deep Sea World. There was more coffee with friends, the very last toddler group since we wont be returning next term, a trip to the safari park, visiting Auntie Hazel's new house, swimming and Holden's second haircut. I also managed a trip to meet a dizzy girl, This Girl Is... & Daydreams in Lace while Holden stayed with daddy. Holden finally has his bottom front two teeth which makes a total of 6 teeth, which seems crazy for 17 months. Its definitely not affecting any of his eating and he continues to have two dinners on the days he's nursery, once with them then again with us. 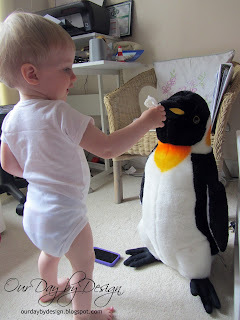 Since I was so ill at the start of the month and couldn't feed him, and he'd not always needed fed at night the week before, it meant our breastfeeding journey came to an end. He still doesn't take any other milk but he seems to be doing fine with all of his yoghurts and milk in his morning porridge. Since he'd almost reached 20lbs at the end of last month, the time came to buy the next stage car seat for him which he absolutely loves as he can now see what's going on. This month we watched lots of progress on our new house and I received Holden's 1st Year photo book which I love. In July we are going to be looking for a new nursery for Holden, nearer to our new house, which he will hopefully start in September. He's so big! 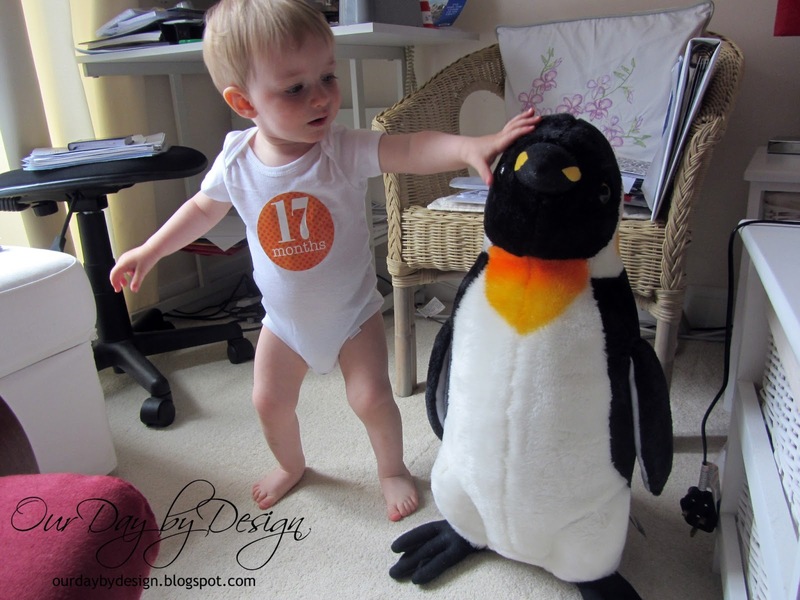 also, so cute with the penguin! !